Times Stride (4h Rocknroll Hanover / Star Of The Ball by Presidential Ball) won at Menangle on the 19th March where he drew No.5 but began slowly to settle near the back, before moving out to be 3-back on the outer, then pulled out 3-wide turning for home and took the lead to go on and win in a mile time of 1:51 to now have 4 wins & 6 placings for $36,200 – bred by Ryder Bloodstock Ltd.
Cheeky Babe (2f Muscle Hill / Factor The Odds by Pegasus Spur) won at Cambridge on the 21st March drawing No.4 in the Haras des Trotteurs Sires Stakes Prelude where she worked to the lead and did it well without being seriously challenged, leading the small field all the way in the 1700m journey to now be 2-from-2 – bred by Breckon Farms Ltd.
Ball Of Art (3g Art Major / Star Of The Ball by Presidential Ball) won at Auckland on the 22nd March where he drew No.9 and began slowly before moving into the running line 4-back and then progressing to be in the 1x1 and going out 4-wide in the run home to finish strongly in a 1:59.5 Mile Rate for the 2200m, winning by a neck to now have 1 win & 1 second from 2-starts – bred by Ryder Bloodstock Ltd.
One Change (2c Bettor’s Delight / Changedown by Falcon Seelster) won at Addington also on the 22nd March where he was slow away to settle fourth in the 6-horse field in single file, before he moved out to get the 1x1 and then turning for home came out 4-wide and flew down the straight to win by a nose, in the Garrards Sires Stakes Heat, in what was a great start to his racing career – bred by RG Carr & DG Kirkbride. Kayla Marie (3f Bettor’s Delight / Braeside Star by Soky’s Atom) also won at Addington on the 22nd March drawing No.5 she was slow away to end up facing the breeze, before getting cover and moving out turning for home and going on to win her heat of the Nevele R Fillies Series in a 1:58.1 Mile Rate for the 1980m, to now have 5 wins & 4 placings for $156,540 – bred by BJ & CJ Whitelock. Crystal Sparkles (5m Rocknroll Hanover / Taylor Kate by Artsplace) won at Port Pirie on the 23rd March where she drew the outside but worked her way to the lead 4-wide, getting there after 400m and was never headed, winning by 4.8m in a 1:55.7 mile to now have 16 wins & 14 placings for $77,644 – bred by RA & JV Yarndley. 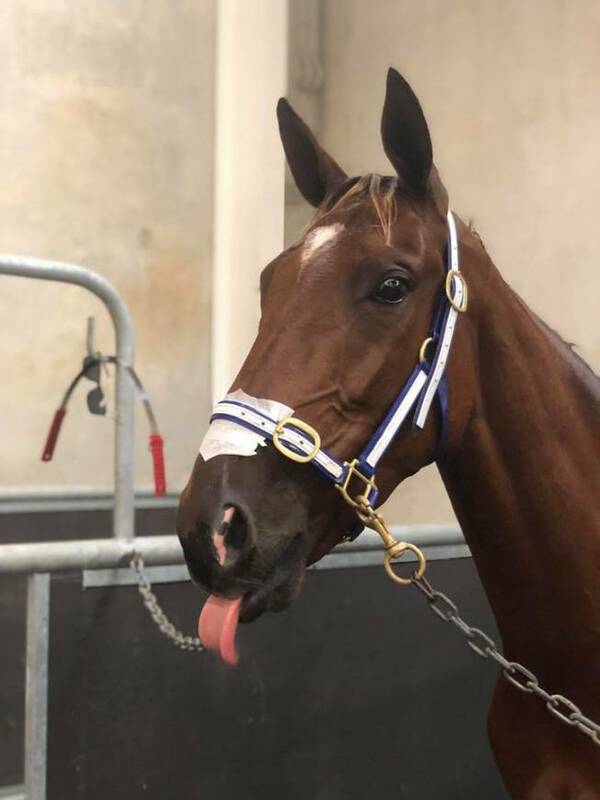 Placed horses this week were Racketeers Boy 3rd at Cambridge, Vasari 3rd at Penrith, Forget The Price Tag 2nd at Auckland, Flying Even Bettor 2nd, Elle Mac 3rd both at Addington, Just Rockon Bye 3rd at Gloucester Park, Bronze Ecstasy 2nd at Albion Park. Kenrick (6g Bettor’s Delight / Toast To Cullen by Christian Cullen) won at Saratoga Harness on the 23rd March where he drew No.3 and at the first ¼ was 3rd, at the second ¼ 2nd, at the ¾ 1st, the top of straight 2nd and faught back to win in 1:56 – bred by Biddlecombe Equine Ltd.